The fern offers not only interesting shapes, but also unique texture! A Study Of Green – These leaves beg to be captured in color and in pencil! 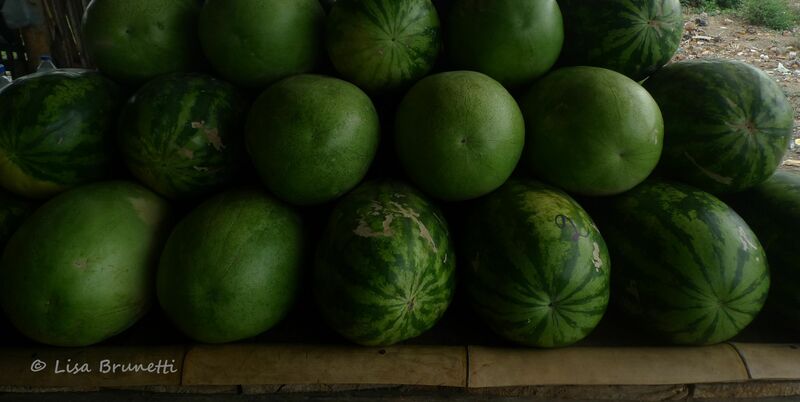 These roadside watermelons would make a fun painting! The grasshopper blended well against this Santa Maria medicinal plant. Do you suppose “Little Bit” iguana (below) dreams of growing up to be super sized? Big Red was once a little bit as well! 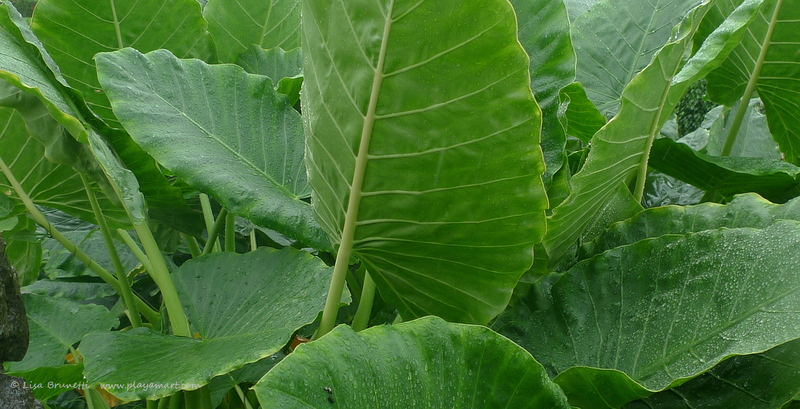 Below are more closeups of foliage; yes, a botanical or scientific study will surely materialize soon! Many artists have trouble finding subject matter; my problem is: So many great subjects and so little time! 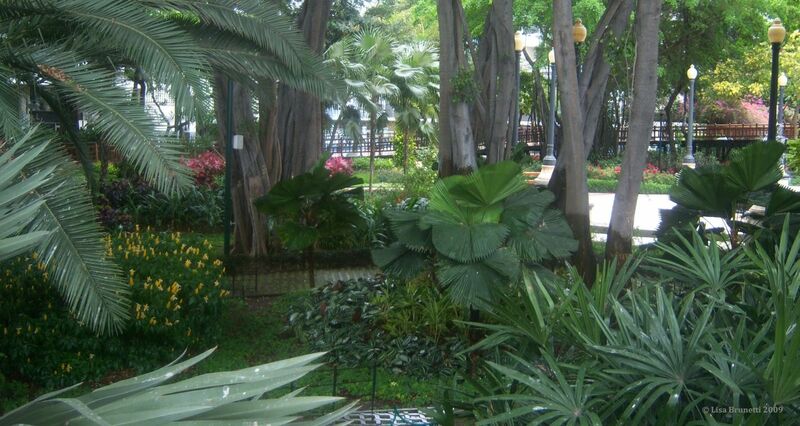 A trip to Guayaquil’s malecon is never complete without a trip through the botanical gardens. Formal gardens showcase classic specimens, yet a pastoral landscape soothes the senses. When traveling near Limon Nicaragua, I chuckled when we rounded a curve and disturbed this man’s siesta! Visit Let’s Be Wild for other examples of the many colors of green in our outdoor world! A special thanks goes to Babs of Life in the Foothills for inquiring about my contribution to this week’s theme! Between dealing with visas, shrimp harvests and earthquakes, I left this one patiently incubating in the Drafts folder! (Thanks, Amiga! I’ll bet you’ve always been a responsible team player!) Please visit her post,The Green of Envy! So many lovely greens. I knew someone who had a green garden; that is no flowers; everything in it was different shades and types of green foliage. It was beautiful. Have you had any aftershocks? hey! thanks for your comment! i’m sure that green-only garden was soothing! we have had no aftershocks; the solomon islands had several more on the other side of the pacific, but it’s quiet again on this part of the ring of fire. hmmmm. it’s ‘early’ but still a bit too quiet” small ones help relieve that tension. Lovely greens! So much variety! thanks, naomi! i awakened this morning and realized that i forgot to notify the let’s be wild site!!!! These greens make me envious! ;-). Everything here is grey and white. Still the trees are stunning and the snow, picturesque. 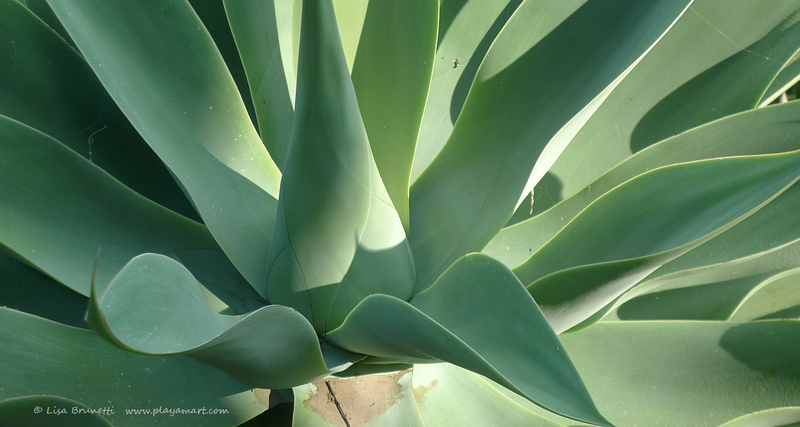 I would love to see you tackle that agave on canvas! Can’t wait for your green thumb to get it all down. the agave seems to be calling most! i’m glad you liked it as well! again, so many things and so little time.. i’m about to go to town, so maybe tonight i can start on a new one. i have two projects in progress so i have to see them finished! I laughed out loud at your bolded statement – “so many subjects, so little time”. My goodness! Don’t I know that one. It’s a reminder that I’d better get cracking on my own new post. It’s time! yes, that’s mint! it grows so well here! last night, in honor of carnival, i mixed a limonada with mint and tequila! 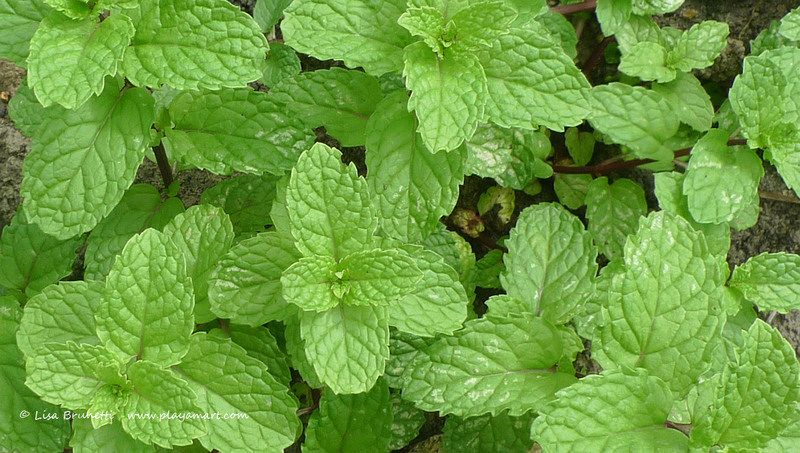 it’s so great to walk outside and harvest mint without damaging the reserves! the climate is usually highs in the 80s and lows around 70, so it’s a perpetual springtime climate. wouldn’t it be fun to be a genie, and with the wave of a hand, all of those creative thoughts materialized in an instant! i have a great little shaman’s ‘lime pot’ that i found on the beach.. perhaps i should rub it and ask that the present projects get finished so i can move on to the next! 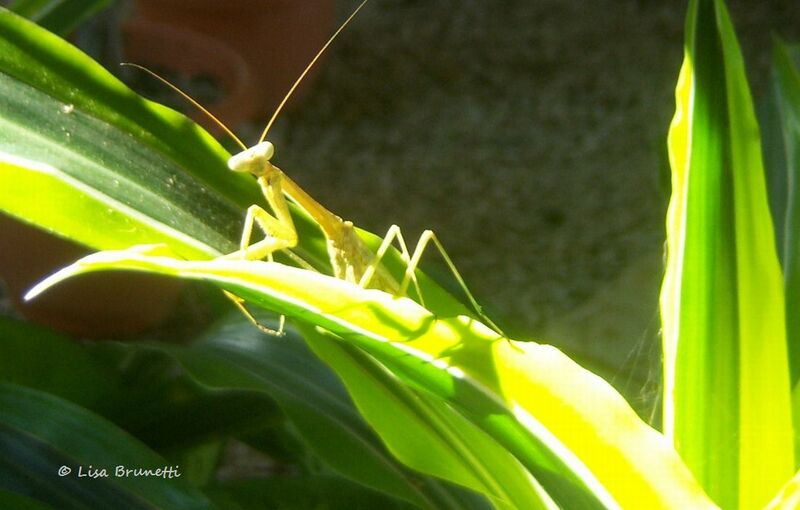 That is one amazing thing about the tropics, the amazing biodiversity and lushness which you captured nicely. Nice post! yes, i continue to be amazed at how fast everything grows when the rainy season starts! Beautiful photos Z! And you are welcome! i forgot to present it to the lets be wild site, and this morning we lost internet for a while! it’s finally in the queue of submissions! you will need a new hard drive to handle all of the photos you’ll be taking! thanks, amiga. you did an amazing job with your selection of greens! i especially enjoyed the blurred movement image. the story about your neighbor helping clear your drive was equally nice! 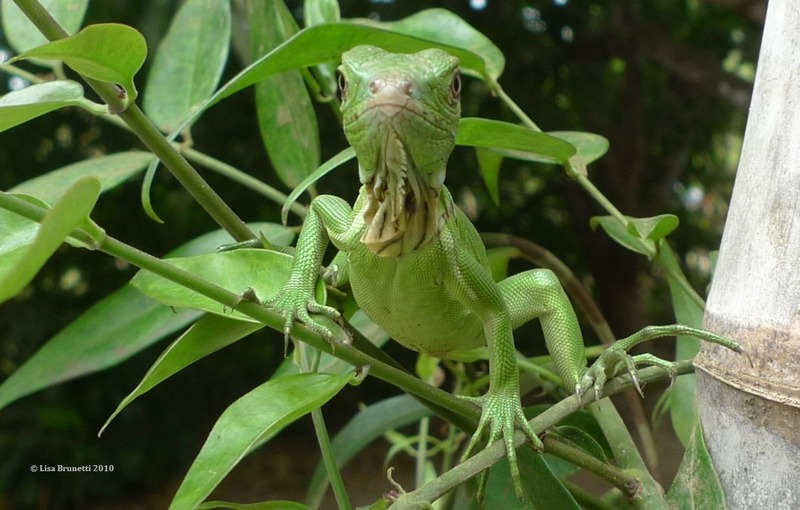 Beautiful “green” photography – the closeups of iguana are exquisite. thanks! iguanas have always amused me! they’re such funny looking creatures and are so skittish! “So many subjects and so little time.” Where have I heard that before? You live in the best of both worlds, an abundance of subject matter and in a green paradise. ja HA! yes, and an almost-perfect climate! so true, though for half of the year it’s the dry season. it’s always great to watch the landscape transform after the first true rainfall! yes, so little time! tis a nice problem to have! Great photos and so diverse and many shades! As you say a botanical garden can never be visited too many times! thank you, lovely amiga! when will your landscape start turning green? thanks; it’s been dry this week, so i work til dark most every afternoon. i know that when it starts raining again, i’ll have plenty of time to paint! yes, i suppose you’re having a green deficiency about now! the landscape here is amazing with so many variations of green! Love the “green” post…all the photos are amazing! 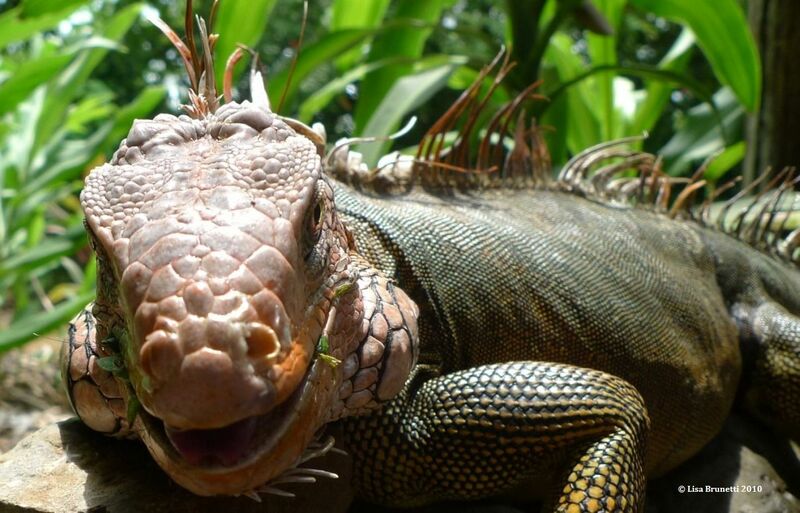 That iguana seem like is saying something…maybe she is saying hola! yes, it seems to have a very fierce and solid spirit! thanks, amiga! Wow, this IS amazingly awesome! Beautiful greens, z! No color is more beautiful than the green after a good rain… I’m so looking forward to spring! I hope that you get lots of lovely green in your life soon! it’s always so great when the spring flowers reward us with the explosion of colors and fragrances! 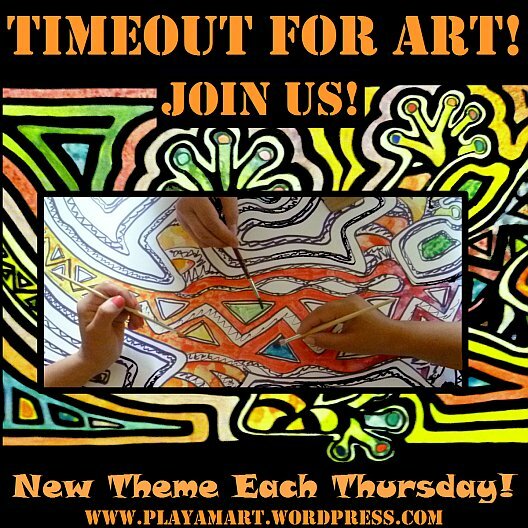 Absolutely – so much material for paintings! It’s everywhere. I love leaf shapes. (I spotted that mint, too – it’s funny to see the very familiar temperate plant in amongst the tropical ones). good morning! i really enjoyed your post this morning and am letting it incubate while i search for a worthy comment! how well i understand the yin and yang of farming, and i experienced both worlds before i embarked on that journey that turned back the pages in time. yes, there is extreme beauty in the whiteness, and the presence of snow somehow gives the senses a unique edge… i’ve never been able to figure it out, but for me, there was always a rare magic when immersed in a snow-filled landscape. Beautiful green pictures, Lisa! I love the leaves, the grasshopper and the iguanas. Amazing wildlife you have there in Ecuador. 🙂 And that guy lounging in the tree (wearing a green shirt, no less!) : priceless. thanks so much; i’m glad you enjoyed the images! hmmm, those baby iguanas remind me of lizards we saw recently near the river. I’ll have to post those photos when I get a bit of time. Oh, that last iguana looks a little big to me! ha! yes, it was quite big with a hound on its trail/tail— it dashed onto the little patio where i was painting and ended up staying for two days! Love it; and especially Big Red’s smile!! I would love to have days just resting on a tree. I used to do that as a kid at my parent’s guava tree. The Iguanas just took my breath away. Awesome pics. thanks! and thanks for the tweet! yes, there’s something special about the luxury of reclining in the benevolent limbs of a tree! ah! guava trees! they’re so handsome and have that subtle fragrance of the fruit.. i’ll bet there were interesting butterflies that were drawn to the ripened fruits! i’m glad that my posts often take you back down memory lane!